Go To Team Elite Camera Crew & Video Production Crew | Charlotte Crew Shoots Pilot EPK’s for CBS, FOX and NBC. Charlotte Crew Shoots Pilot EPK’s for CBS, FOX and NBC. Pilot Season is wrapped up and what a great experience it has been. Over the past few weeks I shot EPK content for CBS’ drama pilot Reckless, J.J. Abrams-produced series Revolution on NBC, and Fox’s Sleepy Hollow thriller. These shoots were pretty straight forward. We were tasked with shooting interviews and broll with various cast and crew members raging from the writers, directiers, editors, VFX Specialists, DP’s, wardrobe, and art department. 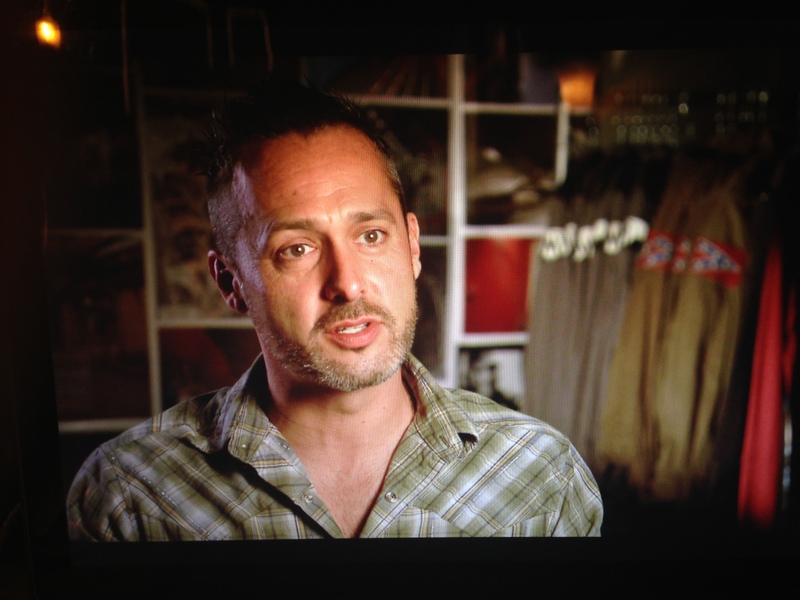 Pictured below is Costume Designer Roland Sanchez. HDX-900 monitor shot. We slapped some art wrok in the background and brought in a clothes rack to transform this tiny, white-walled room. These EPK’s were shot on the HDX-900 with my 5D being a B-cam or second angle. These options gave us great flexability for shots where there wasn’t much room for a full size eng camera. The 900 definitely helped with following the action and snap zooming on my wide angle lens. Sometimes we had the luxury of actually being on set where we didn’t really have to construct a background but we also had the challenges of turning white walled rooms into a believable wardrobe for one interview. I cant wait to do more of these in the future, It’s always fun being on set and seeing all the moving parts of a film set in action. 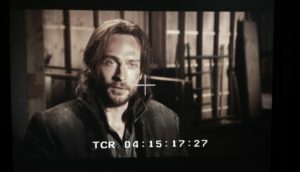 Interview with British actor Tom Mison. 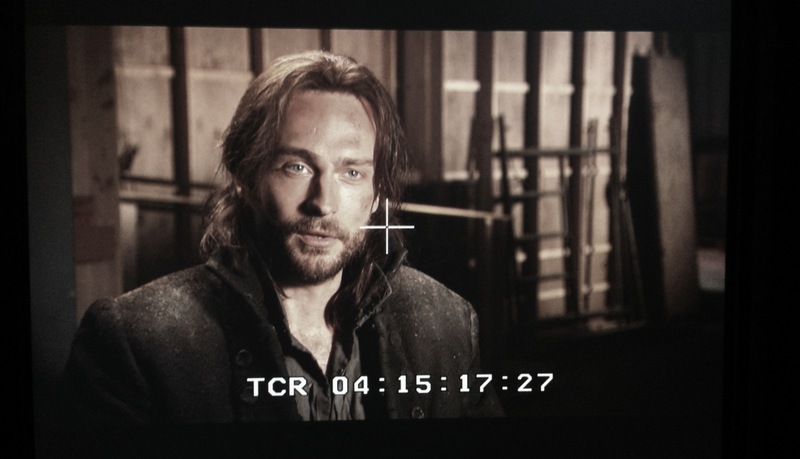 He is cast as the lead in Fox’s Sleepy Hollow.